Our client has created a web based loyalty management platform, with immediate presence in the restaurant industry, which allows restaurants to easily promote deals and for consumers to find them in and round their geographic location using either their mobile devices or web. Our client’s mission was to improve the online and mobile experience of both consumers and restaurants. Our client realized that the restaurateurs’ reach & their opportunity to engage with repeat customers would increase significantly by using mobile and social networking channels in addition to traditional web and print media. As the first stage, our client was looking for a solution which would enable participating restaurants to put in their coupons using a Merchant Interface via web. These coupons in real time are required to be made available to consumers on web, and on mobile (WAP). Real time “Deal” information to customers - Our client wanted to facilitate restaurateurs to announce coupons on the ‘Go’, attract consumers during their leaner periods and supply and update real time information to the customers. Xoriant’s team worked closely with our client to understand the requirements & created an engagement roadmap. The engagement roadmap was planned with due consideration to engagement objectives & some key decisions were taken early in the engagement cycle. Over and above the technology capabilities, our client was looking for a company which will “own” the end to end deliverables with little or no hand-holding. Xoriant had worked with many clients in similar engagement which was a perfect foundation for a successful engagement. Xoriant team initiated the work to come up with Solution blueprint. We leveraged our multi-technology and multi-platform expertise to deliver an innovative solution to our client that offered seamless user experience for customers coming through the state-of-the-art web portal, native phone applications (iPhone, BlackBerry, Android) and popular social networking sites. Xoriant worked with the client to find a solution that would enable it to integrate with third-party service providers, reliably and inexpensively. The client’s main focus was to experiment with Location Based (LB) coupon distribution using emerging ideas of social media (facebook, twitter), mobile (iPhone, Black Berry, Android) and plain old SMS (text). Xoriant made a product that makes a unique & smart use of Facebook Connect. If a user logs in using Facebook Connect then his profile information (keywords) are pulled & fed into a coupon engine and relevant coupons are posted in the form of wall tweets. Product also exploits the Geo location feature launched by Twitter. Tweets in the form of call back URLs are tagged with location and are tweeted using the client user account. The product is a location based service and senses user location on web, WAP and smart phones. 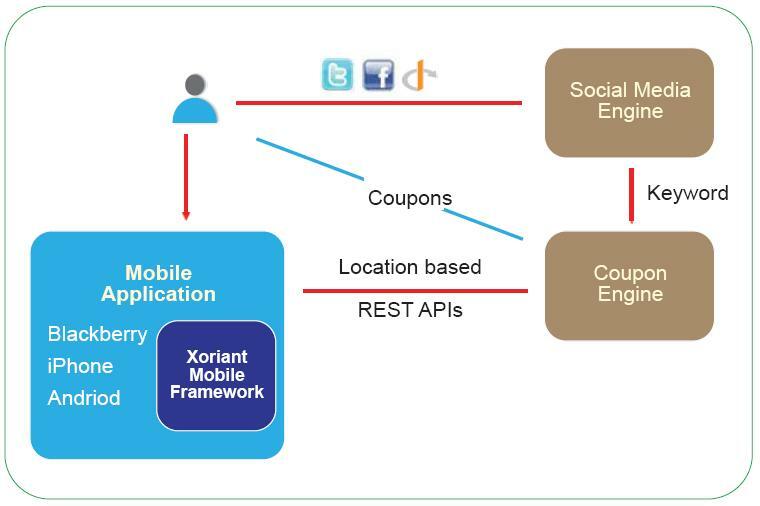 Xoriant used an indigenously developed framework for rapid prototyping of mobile applications. We created different frameworks for iPhone, BlackBerry and Android for native application development. This enabled the Xoriant team to add the basic navigation and UI, HTTP connections, Authentication, XML based parsing, Local Databases and host of other common tasks by just adding a few lines of code by using framework components. Developers could integrate code for using hardware features like GPS, Accelerometer, camera etc. Framework also included components for using local media (audio/video) players. The framework components allowed the team to add the basic functionalities of the mobile phones faster and have more time to focus on innovation. To do a timely and quick release, framework choice was critical. 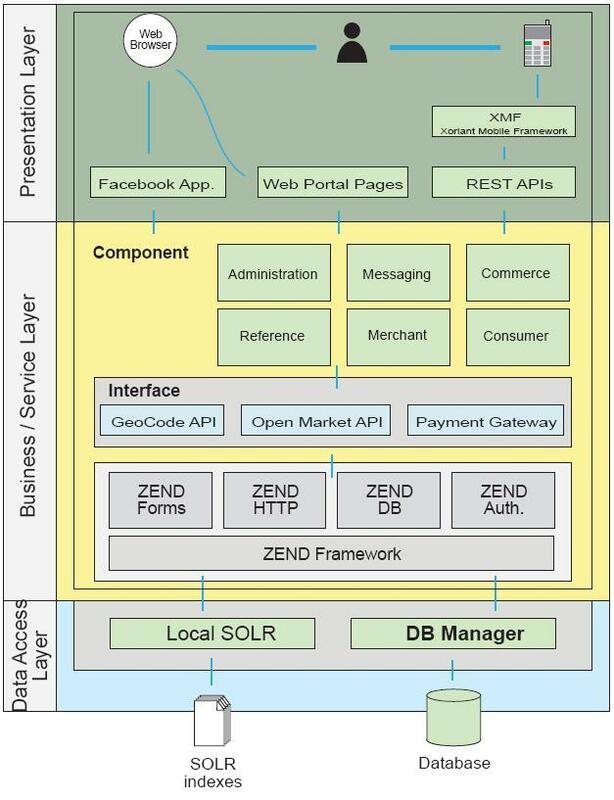 Considering the project scope, LAMP with Zend framework along with jQuery was selected as the platform. Our client was able to launch the beta version of the product in 3 months and it was widely accepted by user community. Xoriant’s proprietary Mobile framework was a key to achieve this timeline for mobile applications. The solution designed was platform independent leveraging the power of Mobile and Web. 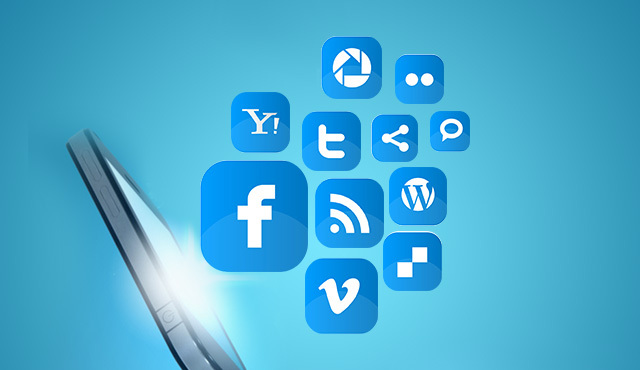 Our client was able to achieve seamless integration with other websites, partner sites (using widgets), mobile applications and social media tools. User interface was implemented of using human interface guidelines from Apple. User experience was well received after the beta launch. Xoriant provided simple and highly cost effective solution to our client by incorporating open-source and free technologies. A restaurant industry client improves their web, mobile and social media user experience by enhancing web personalization and using a scalable mobile app developed by Xoriant. Xoriant was involved in complete SDLC process in building the application, following SCRUM as Agile execution methodology to meet demands of evolving requirements without much compromise on Time to Market goals. Utilized TracWiki & Google docs for requirement gathering. This ensured that Client team in US and Xoriant team from offshore always have a common understanding on the requirements. This proved to be effective to avoid “Gaps” and “Quick to changes”.